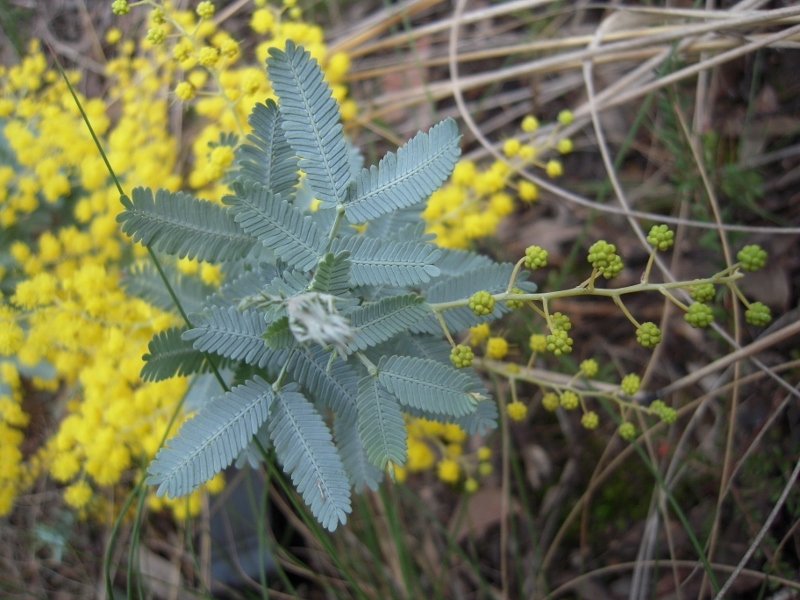 The lovely foliage in the picture below belongs to the Cootamundra wattle, Acacia baileyana, which is in prolific flower in our region this month. Unfortunately, the Cootamundra is a good example of the rule that most weeds are quite beautiful. The problem with weeds isn’t that we don’t like them, it’s that outside of their native environment they become botanical bullies, displacing local plants and creating a less healthy environment. The Cootamundra is a minor player on our weed scene, however. The big villains in our part of the world include blackberry, gorse, boneseed, willow, bridal creeper and others in the category ‘Weeds of National Significance.’ Local groups, including FOBIF, Parks Victoria, Landcare and the Friends of Kalimna Park, have been active in trying to combat these pests. You can find more info about local weeds and ways to fight them in the Catchment Management Authority’s just published North Central Invasive Plants and Animals Strategy 2010-2015. This document naturally aims at eradication and control. It does acknowledge, however, that some weeds are well and truly out of control, and these cases adopts a policy of trying to protect ‘priority areas’. The only area thus nominated in our region is Mount Alexander State Park. The document also sensibly puts community involvement as a key goal: it’s important for locals to be able to recognise weeds, and ‘have opportunities to participate as partners in all aspects of invasive species management.’ This is the point we were making in our post of July 20 on broom infestation on Mount Alexander.